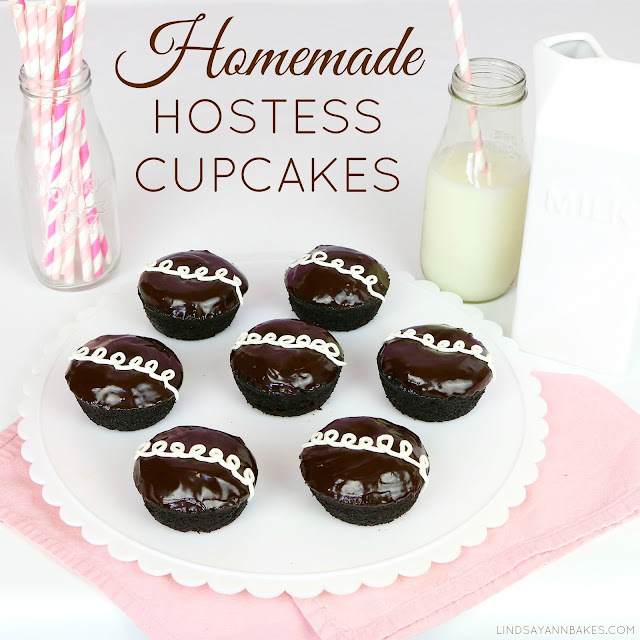 Now you can make homemade hostess cupcakes right in your own kitchen! Imagine those classic chocolate cream-filled cupcakes x100000, because that is how good these are! 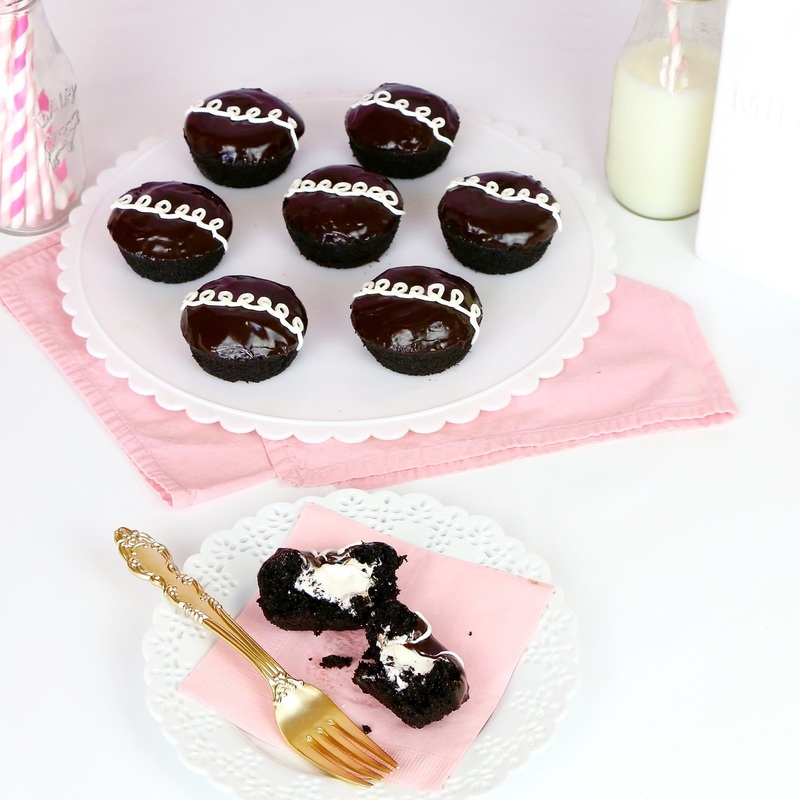 These are just like the kind I grew up with but so much better because they are made from scratch with my moist, fudgy, chocolate cupcake recipe, stuffed with a creamy marshmallow filling and topped with a smooth rich chocolate glaze, and the nostalgic white squiggles on top. These little guys are so much easier to make than you think and people seriously love these. 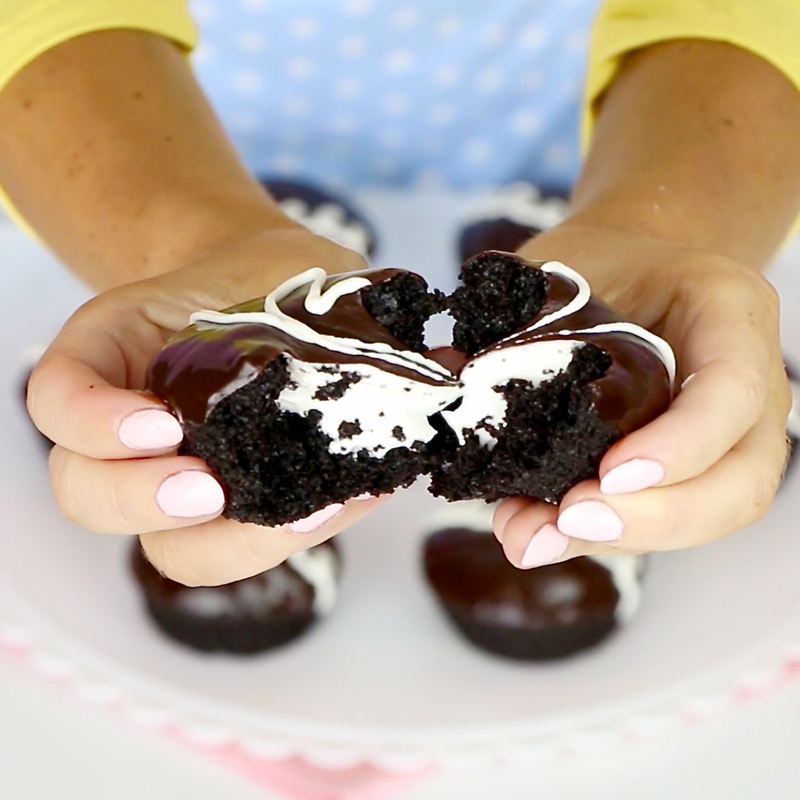 The rich chocolate glaze is like 10 times better than the original and the cream dreamy filling is definitely my favorite part. 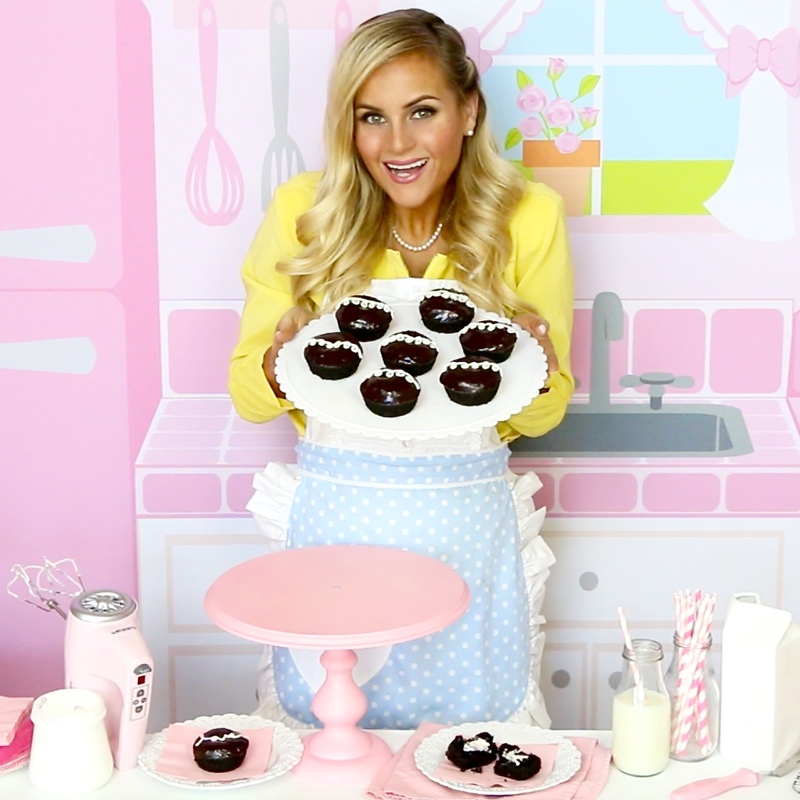 They start with a super simple chocolate cupcake recipe, that is virtually fool proof and baked without the liners for that authentic look. 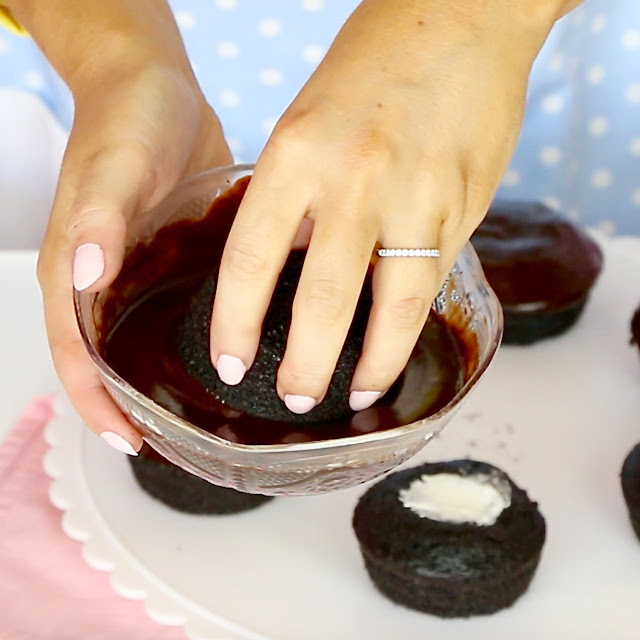 The batter is very thin and runny, but when you put it in the oven, the magic happens and it turns into beautiful perfect chocolate cupcakes, so don't worry. 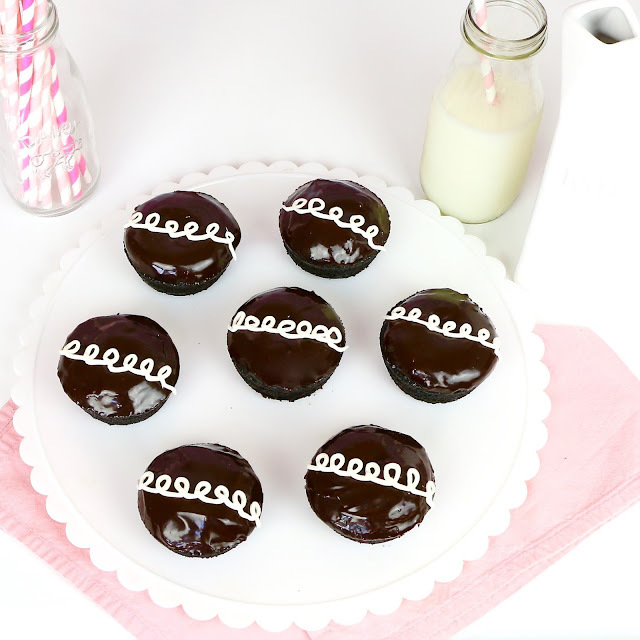 While you wait for cupcakes to bake, make the frosting for the squiggle on top. Then add the marshmallow cream to the rest of it for a creamy marshmallow filling for the cupcakes. Look at that creamy goodness! I could eat this by the spoonful! The glaze is a simple chocolate ganache made from cream and chocolate chips with a little butter on top to make it ultra rich and decadent. Then just put it all together! 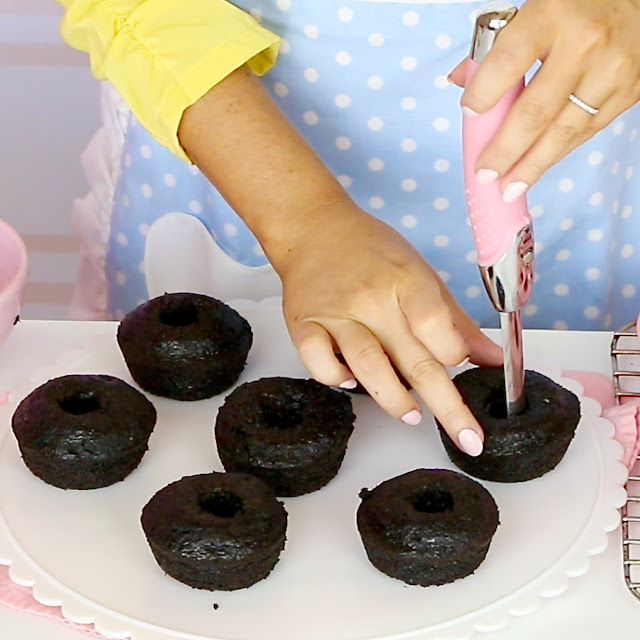 I like to just take an apple corer to create a little well in the center of the cupcake, you can also just cut a little cone shape out of the top, I have a whole video on all the ways you can fill a cupcakes, so go check that out if you’re interested. 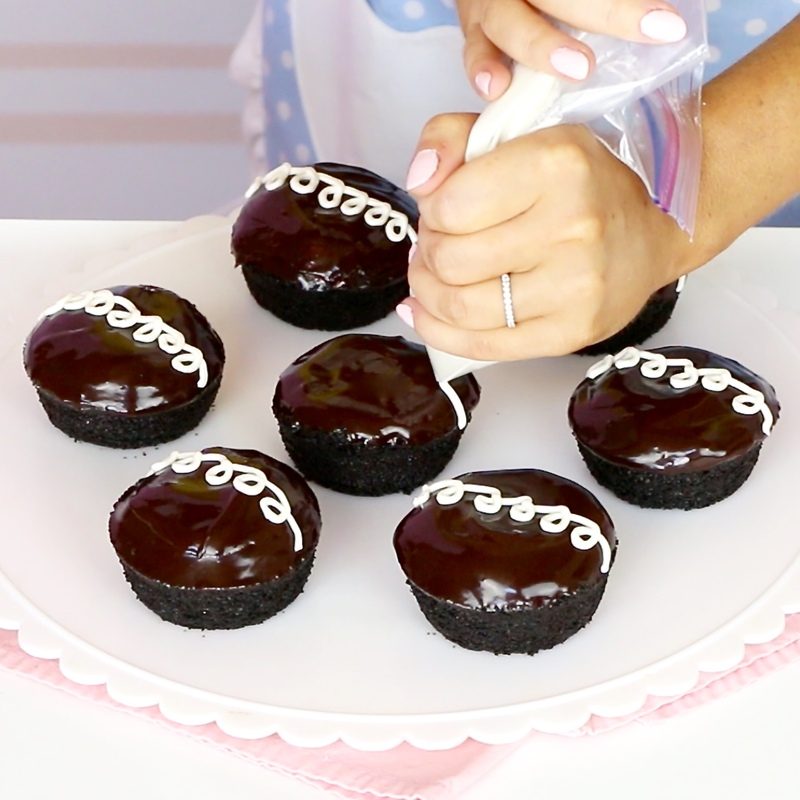 Then you can just squeeze the filling right in. To make it a little easier, I like to put the filling in a little plastic baggie and cut off the corner so I can squeeze it right into the little holes. And smooth off the tops. 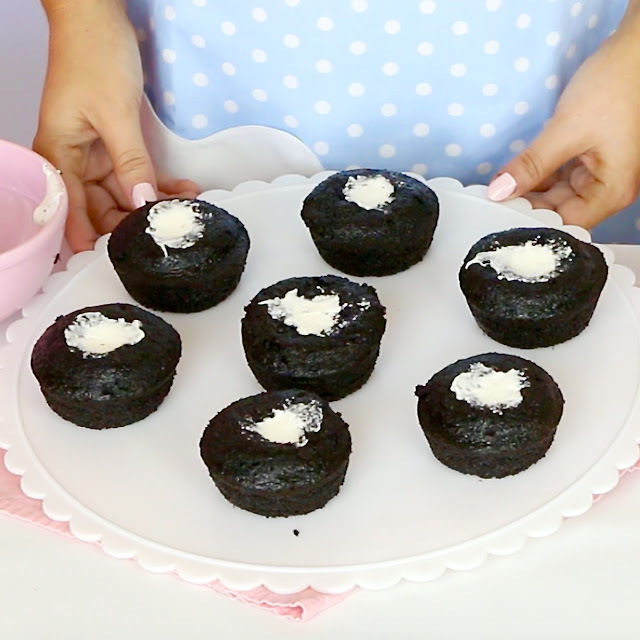 Dip the top of each cooled cupcake in the glaze to coat the entire top. And If the glaze gets too thick, you can just microwave it for a few seconds and give it a stir to thin it out again. Then chill them in refrigerator for about 15 minutes to let the glaze is set. Lastly, add that iconic white squiggle on top. And you can also customize these and pipe different things on top, like a heart, or words or someones name. 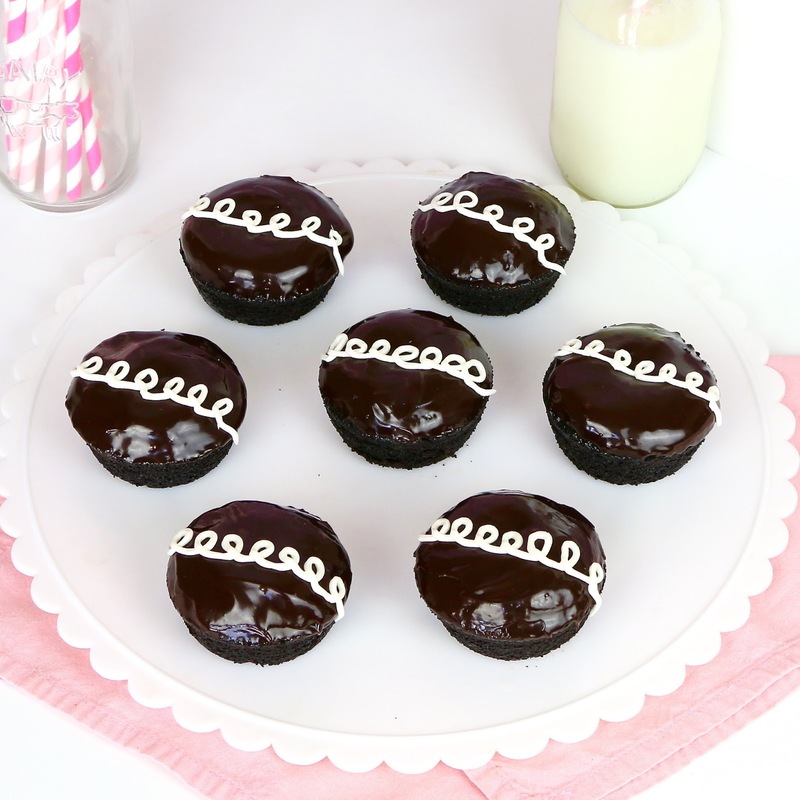 Even use food coloring to make a different colored filling inside. Break it open and enjoy! How cute are these? Perfect for parties, back to school, or gift giving! 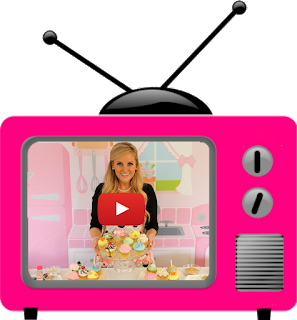 Preheat the oven to 350 degrees F. Spray a cupcake pan with non-stick cooking spray. 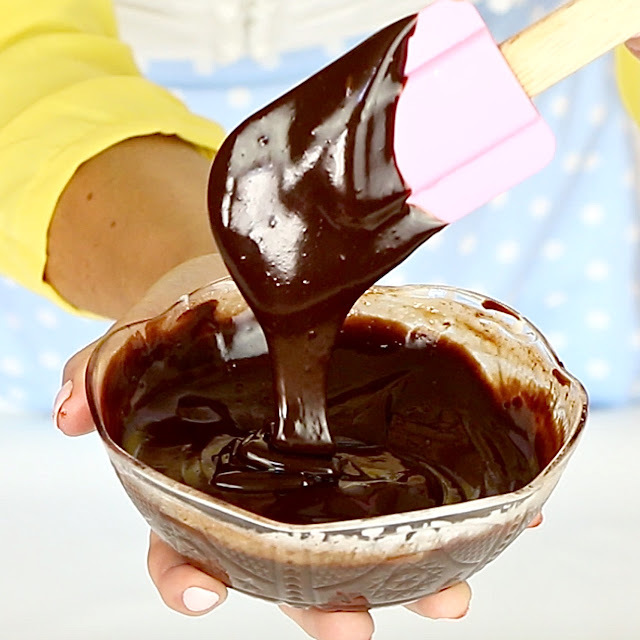 In a large bowl, whisk together the flour, sugar, cocoa, baking soda, baking powder and salt. 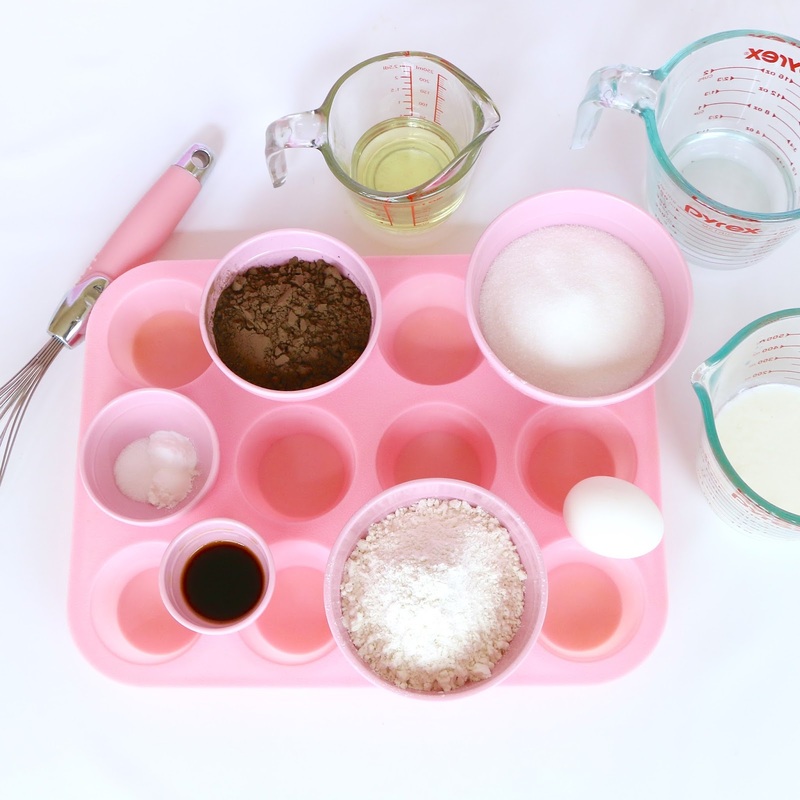 In a measuring cup lightly whisk together buttermilk, oil, egg, and vanilla. Using a whisk or wooden spoon, gently stir wet ingredients into dry ingredients, just until incorporated. Stir in the boiling water. 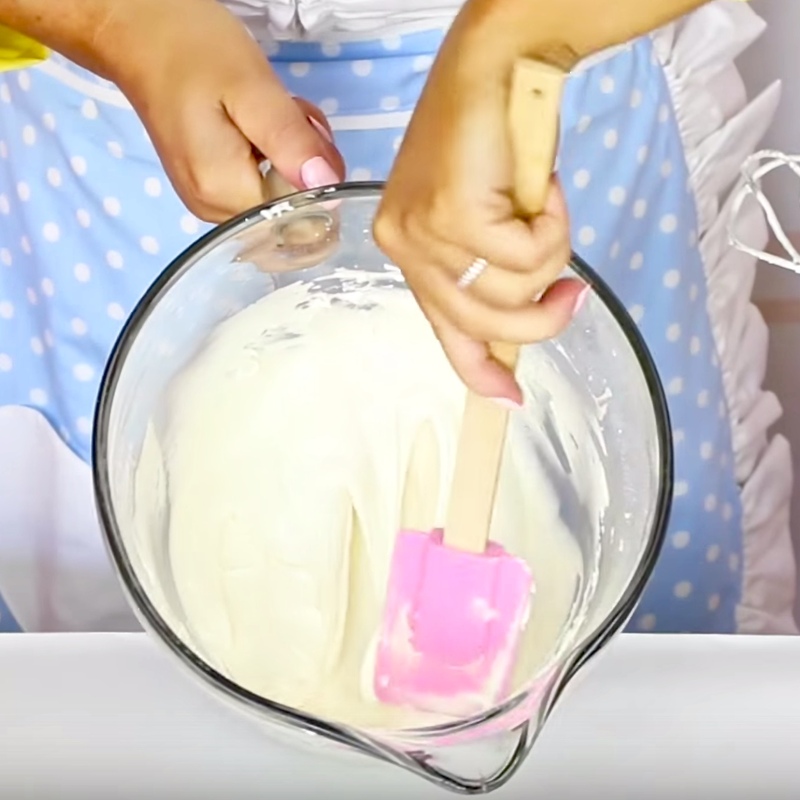 Batter will be very thin and runny. 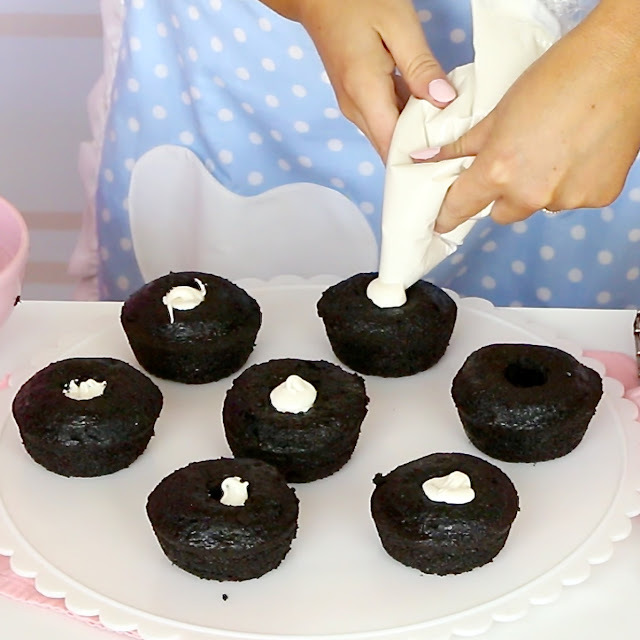 Distribute all of the batter, filling almost up to the top, between all of the baking cups. Bake for 16-18 minutes, or until an inserted toothpick comes out with a few moist crumbs. Cool completely on a wire rack before filling and frosting. While waiting for cupcakes to cool, make the filling. Beat butter on medium speed until creamy. Add vanilla. Reduce the speed to low and beat in powdered sugar until combine. 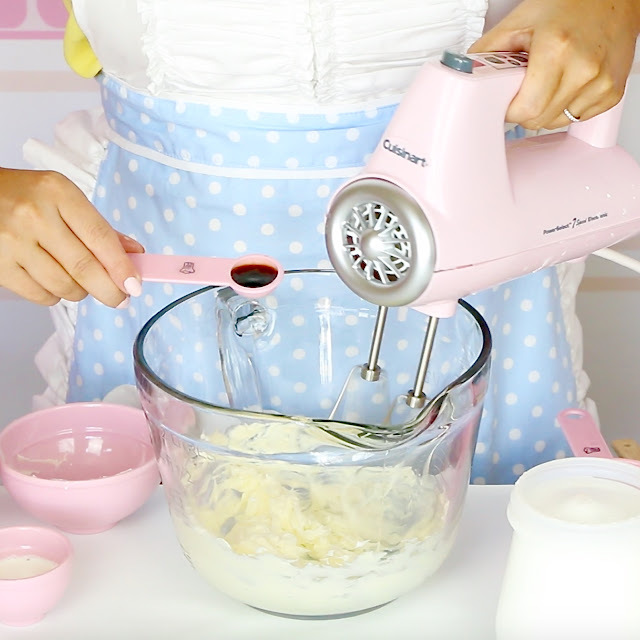 Add 1-2 tablespoons of cream and beat on medium-high for 1 to 2 minutes, until light and fluffy. Set aside about 1/2 cup in a sandwich bag with the corner snipped off, for the squiggle on top. 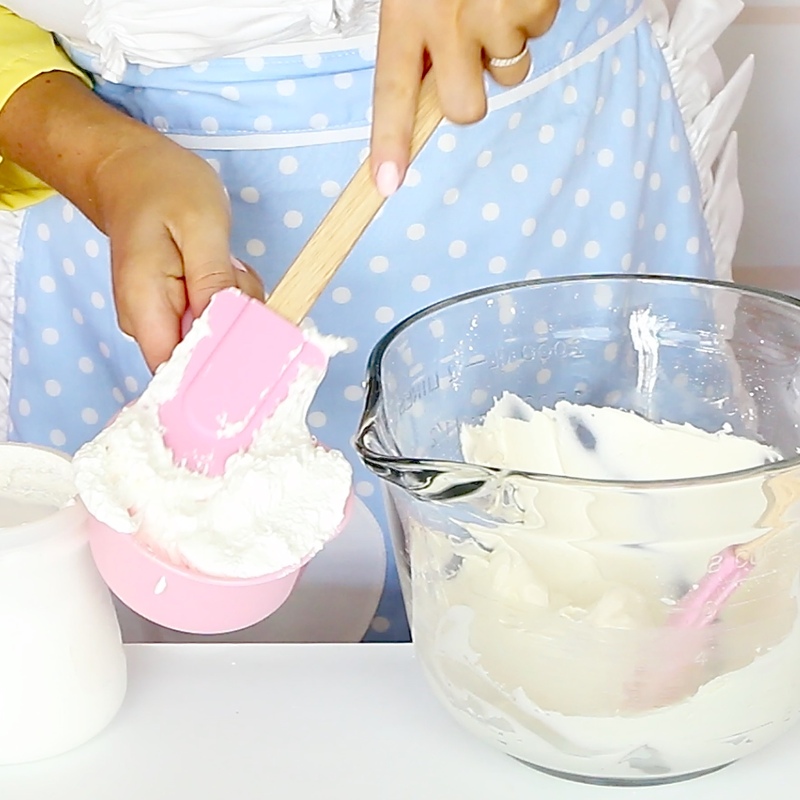 Beat in marshmallow creme to the remaining mixture, until creamy and smooth. Place in a plastic sandwich bag and snip off the corner. Heat cream for 1-2 minutes in the microwave just until it starts to get hot bubble, without actually boiling and bubbling over (you can also do this in a small saucepan over the stovetop). Immediately pour over chocolate chips and butter in a shallow bowl. Add butter. Let sit for 2-3 minutes, then stir until smooth. Let cool and thicken for a few minutes. 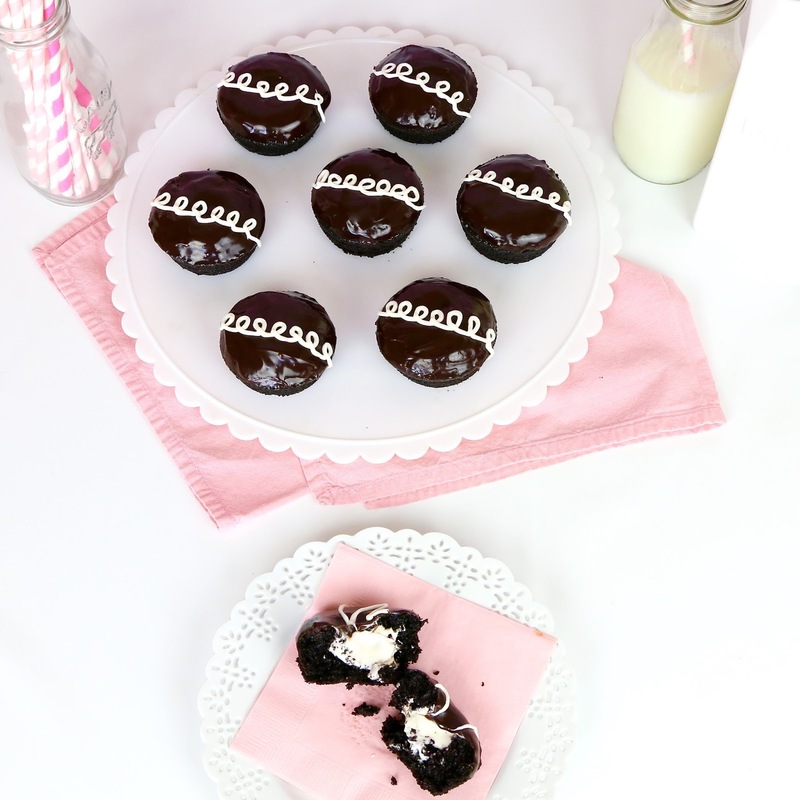 Once cupcakes are fully cooled, fill the centers with marshmallow filling and dip the top of each cupcake in the glaze to coat the entire top. 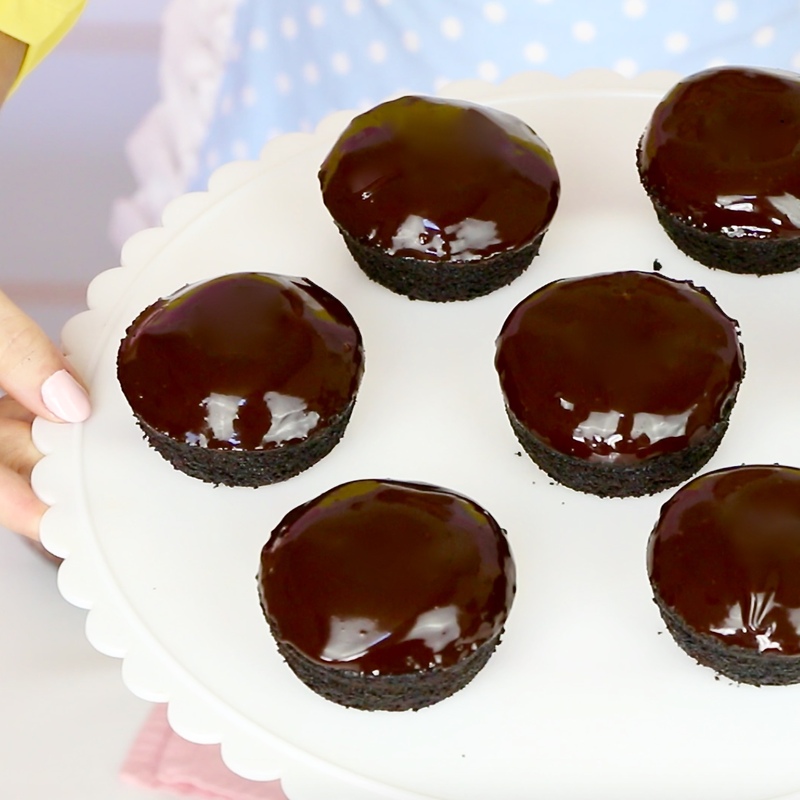 If glaze gets too thick, microwave it for a few seconds and give it a stir to thin it out again. 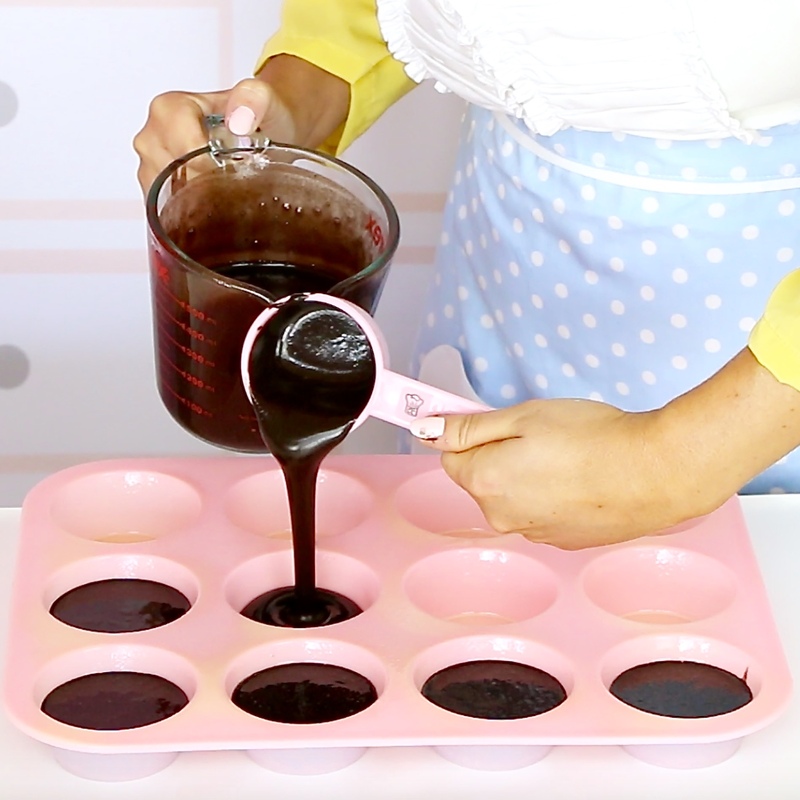 Chill dipped cupcakes in refrigerator for 15 minutes or until the glaze is set. 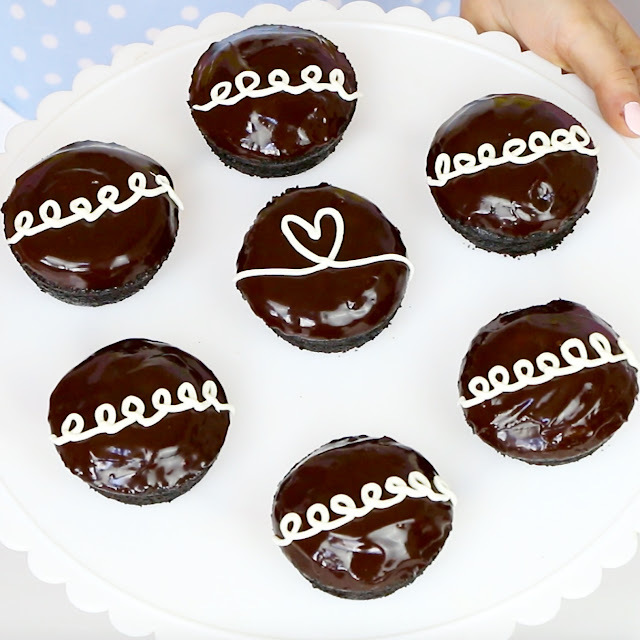 Pipe the squiggles across the top of each cupcakes and enjoy.